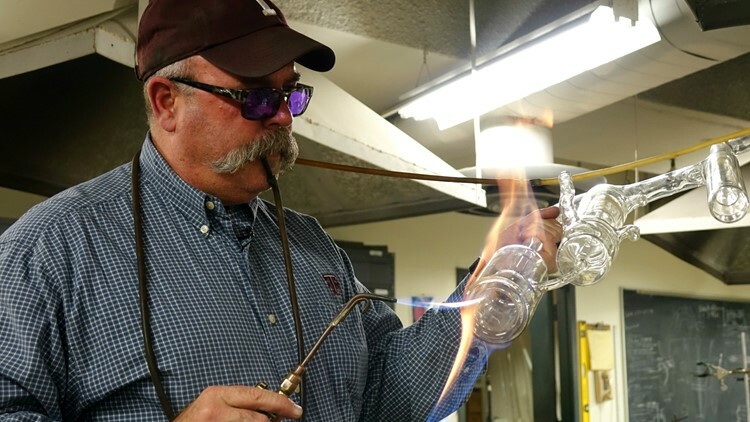 Camped down in the basement of the Texas A&M University Chemistry Building, William “Bill” Merka crouches over a hot torch, a small blue flame dancing at its tip. Staring into the flickering fire with a pair of tinted glasses, Merka twirls a Pyrex tube in the flame, pausing occasionally to huff into a long rubber straw pinched between his lips. 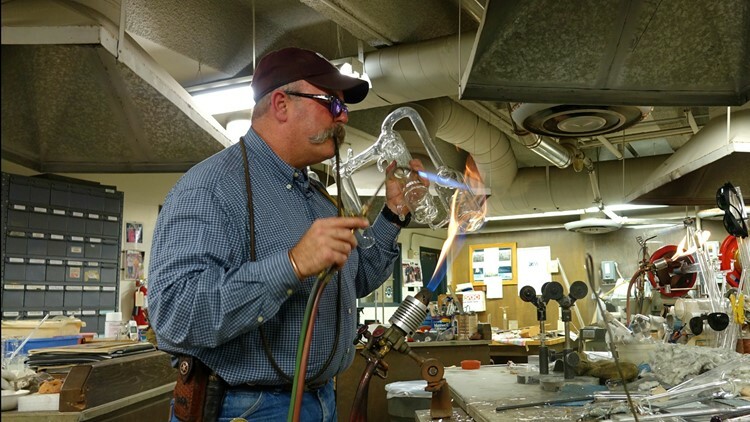 After working at A&M’s glass shop for nearly four decades, Merka wonders just how many pieces he’s worked on. He stopped keeping count a long time ago.